I did a bad thing. 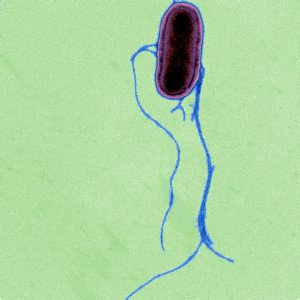 I exposed my students to the dreaded Salmonella bacteria. Not really. Ha ha fooled you! 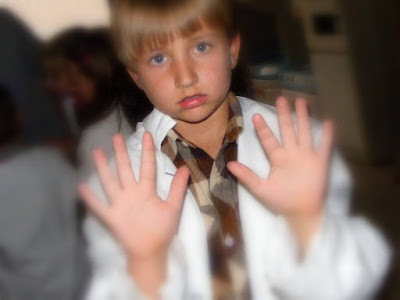 I found the neatest thing on the Steve Spangler website. 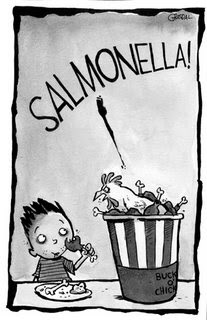 It's "Salmonella in a bottle". 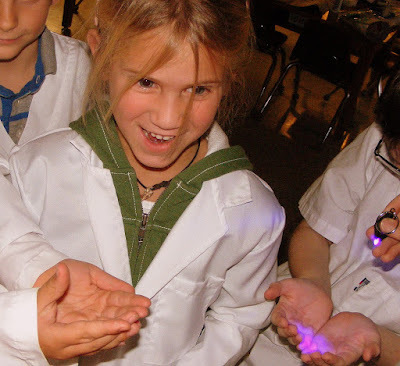 Really, it's a substance that you put on the hands which has glow-in-the-dark properties. 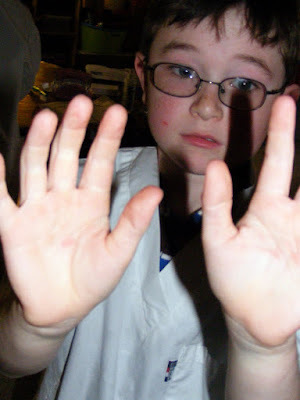 Students are asked to rub it all over their fingers and under their nails then, go try to wash it off. 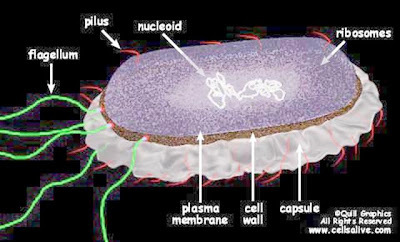 I showed them this cute furry creature that resembles the bacteria so they wouldn't get scared. This is what the real villain looks like. Not so fun when its propogating inside your intestines. 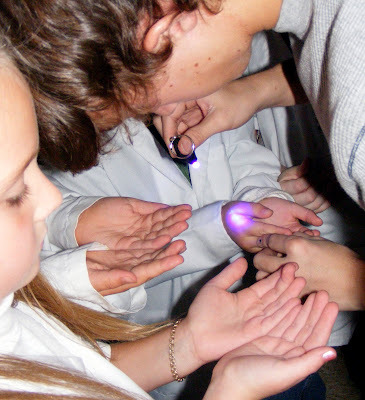 After the children washed their hands we turned the lights off and examined their hands with this handy little black light. 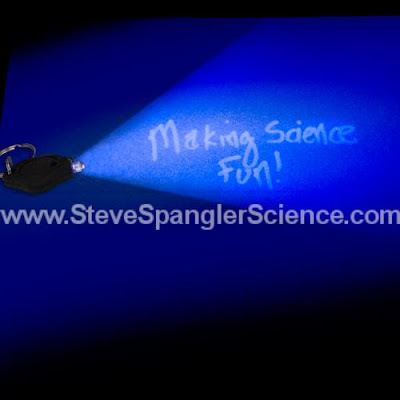 My family and my students are all madly in love with everything Steve Spangler says and does! It's nice to discover others who understand what a fine educator he is, too! We're crazy for his InstaSnow, too. Oh, and none of my kids can stay away from his awesome video site. 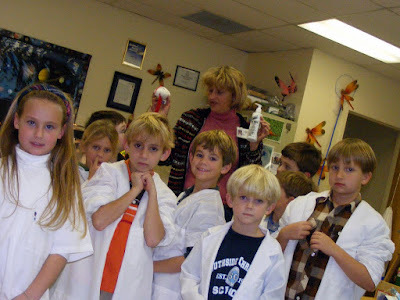 We get all our science experiment ideas and instruction there. 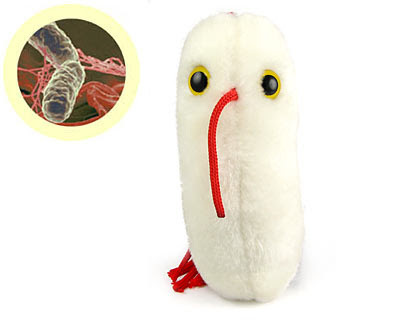 That cute fluffy salmonella stuffed doll is hilarious! 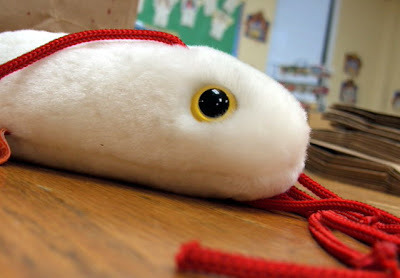 Hey Mom, CDC or someone for the CDC has all the viruses and germs made into cute stuffed animal form. They even sell ties with the designs of the germs/viruses/diseases on them. I always thought that was strange, but I guess if you work with the virus or teach it's useful! A teacher friend in Dallas sent me your post and asked about the Glo Germ lotion. 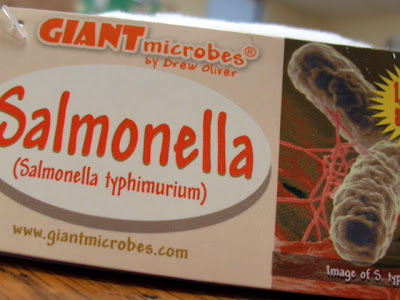 The "Salmonella in a Bottle" thing is hilarious! Best looking group of Salmonella searching scientists I've ever seen. The looks on the kids' faces during the "moment of truth" is fantastic. Thanks for sharing the great idea.